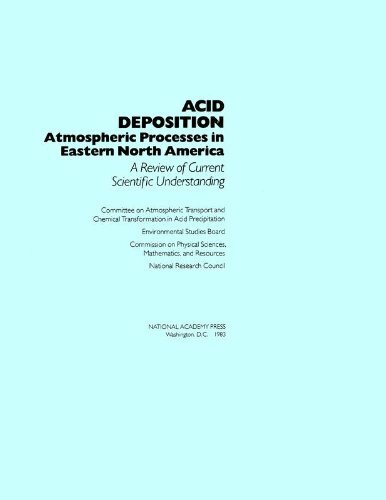 Acid Deposition: Atmospheric Processes in Eastern North America was written by Committee on Atmospheric Transport and Chemical Transformation in Acid Precipitation, Environmental Studies Board, and National Research Council. Acid Deposition: Atmospheric Processes in Eastern North America was published by National Academies Press. Subjects of Acid Deposition: Atmospheric Processes in Eastern North America include Earth Sciences, Medical / Nursing, Medical / Toxicology, Science / Earth Sciences / General, The environment, and Toxicology.